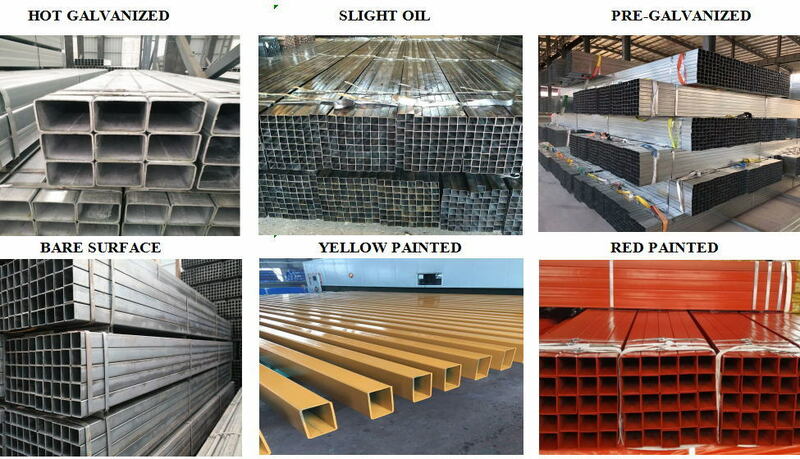 The galvanized rectangular steel pipe is a welded rectangular steel pipe having a hot dip or electrogalvanized layer on its surface. Zinc plating can increase the corrosion resistance of steel pipes and prolong their service life. It is available in both threaded and welded versions. It can be used in indoor normal environments and in high temperature, dusty, vibrating and fire hazard locations, as well as in wet locations. 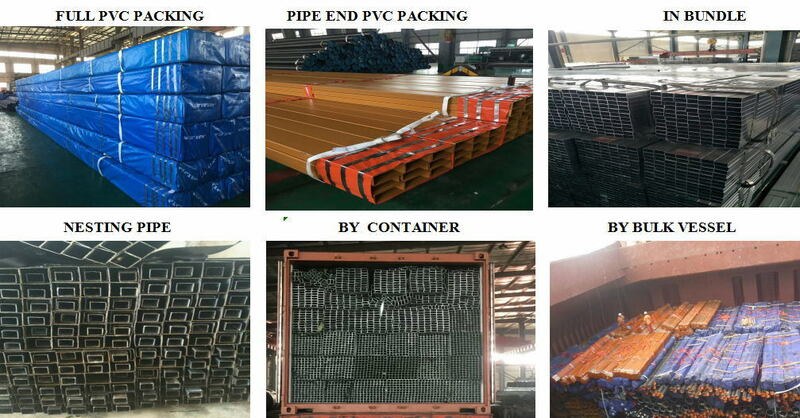 However, such rectangular steel pipes shall not be used in places where they are particularly wet, acid, alkali, salt corrosion and explosion hazard. Its ambient temperature is -15 ° C ~ +40 ° C. It has excellent mechanical properties, excellent corrosion resistance, high compressive strength and working pressure exceeding 2.5Mpa. 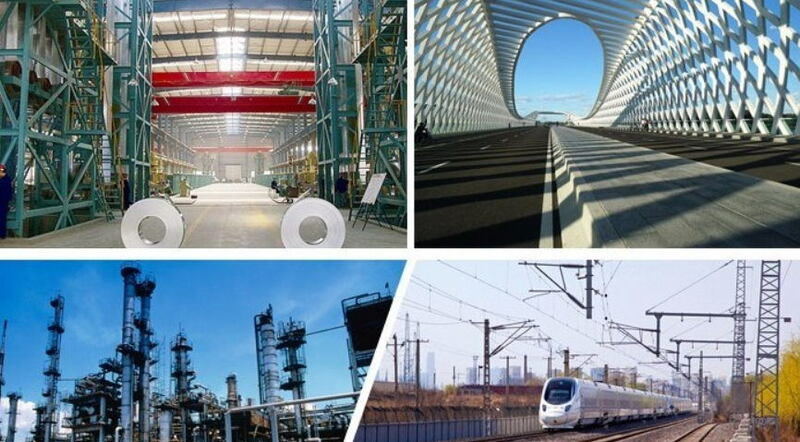 Galvanized Rectangular Steel Pipes can be used in machinery manufacturing, steel construction projects, shipbuilding, solar power generation brackets, steel structure engineering, power engineering and other machinery industries. 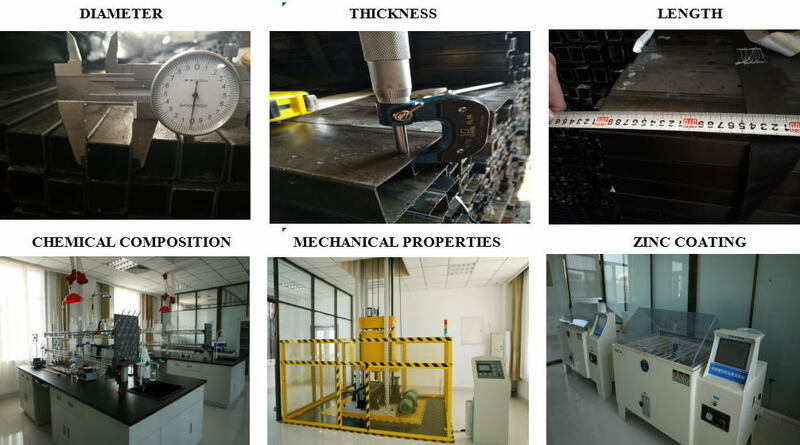 1)Before Shipping ,Our professional Inspectors Will Check The Pipe’s Diameter ,Thickness ,Length, Chemical Composition, Mechanical Properties,Zinc Coating etc, Everything is Ok, Then Will Shipping and Supply a MTC With Full Information . 2) Support The Third Party Inspection ,SGS, BV and Others.